Improved price! Convenience and peace of mind! 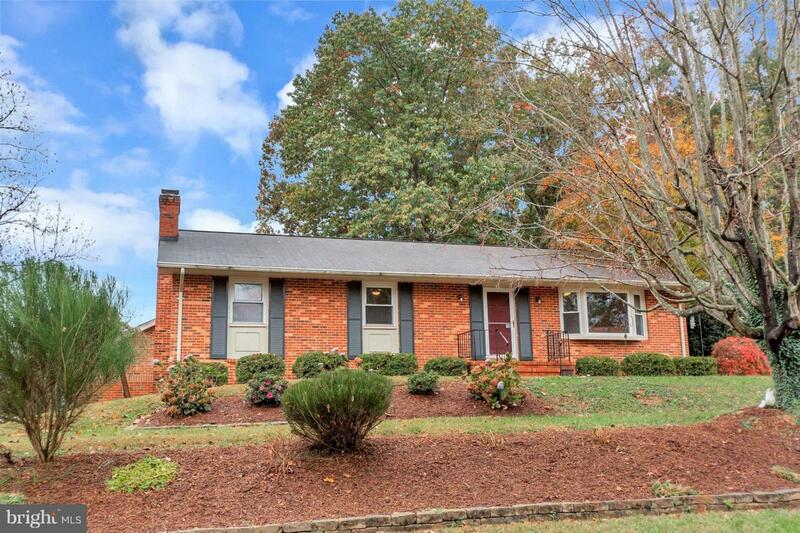 2,300 square-foot brick rambler with finished basement located in the desirable Clearview Heights neighborhood. Brand new roof, HVAC, carpet, water heater, and pool pump, two recently updated bathrooms plus fresh paint throughout. This 4 bedroom, 4 bath home features a spacious eat-in kitchen and updated master bath with oversized tile shower. The basement offers a rec room with bar and fireplace. And the home includes an indoor heated pool with safety cover, indoor pool equipment and an additional full bath. This house is situated on a corner lot with a large, fenced rear yard and maintenance-free composite deck. Located one block to the YMCA and minutes to downtown Fredericksburg. Plan your swim party for the spring!